Here is another simple dish that will “wow” your guests. I speak from experience. I have been making this confit for many years, and consistently my guests enquire about the recipe – only to be shocked at how utterly simple it is (they often think I’m kidding!) Again, due to its simplicity, best quality ingredients are what make this dish so delicious. This confit is especially great served room temperature with a cheese course. It will keep for a week in the fridge, just bring to room temperature to serve. Mix all the ingredients in a large bowl making sure the pears and onions are well coated with the oil. Transfer to a baking sheet. Bake for 20 minutes, rotating the pan half way through baking. Once in a while check to make sure the ingredients cook evenly by stirring, preventing the edges from burning. 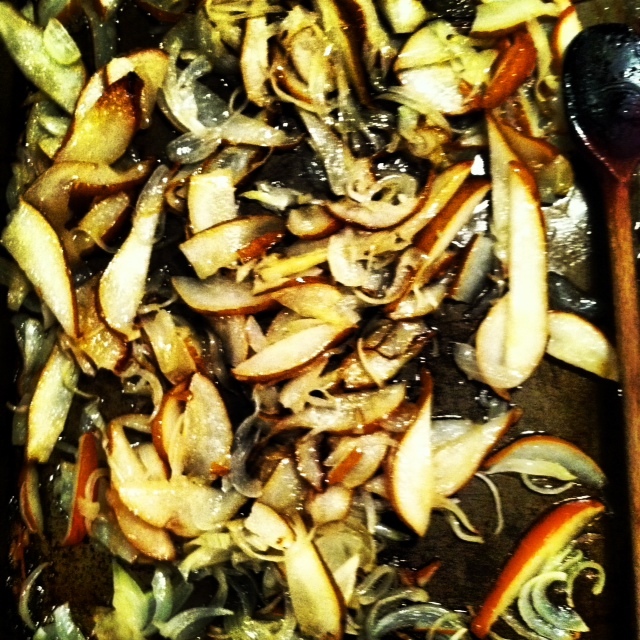 NOTE: Once cooked, you can chopped the confit. 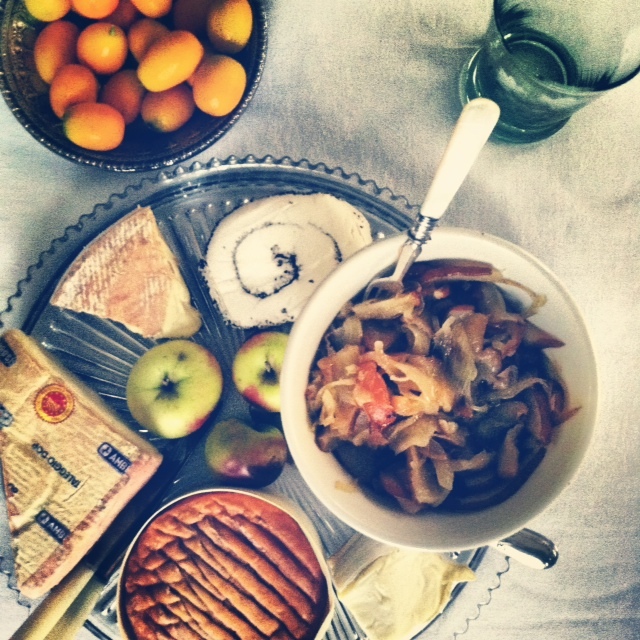 Slice off the rind top from a wheel of brie and spread the confit on top and serve. 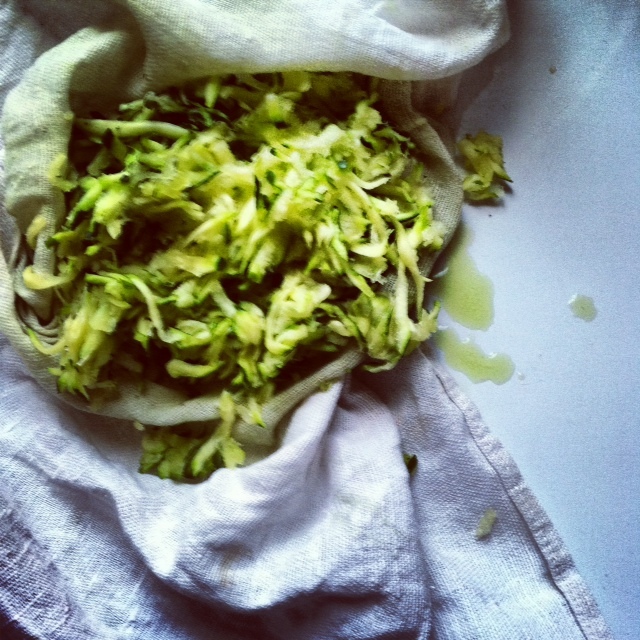 You can also use it as a condiment for sandwiches – my son loves to make a turkey, blue cheese, pear confit wrap for lunch. 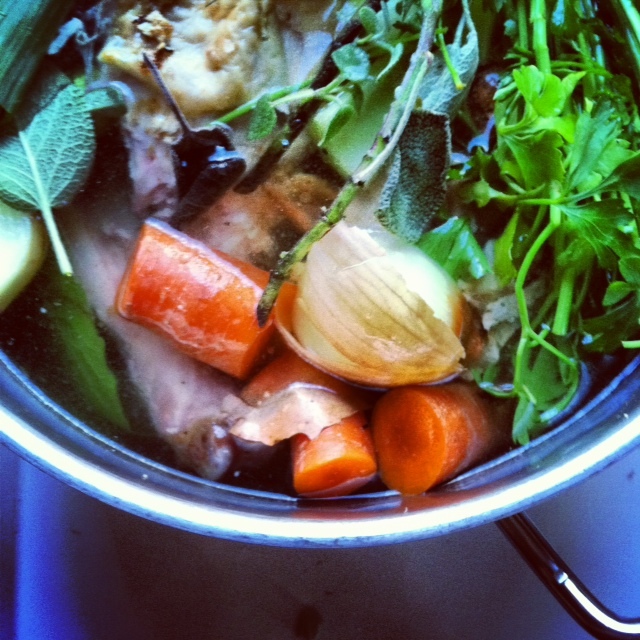 A while ago, talking cooking with a good friend, he described the making of stock as primordial. There is something basic about cooking bones, bits of meat, vegetables and herbs in water; extracting all the flavors in order to create a delicious base for soups and sauces. While making stock, the kitchen warms up and a wonderful aroma starts to permeate the house: comfort food at its best – primordial-. 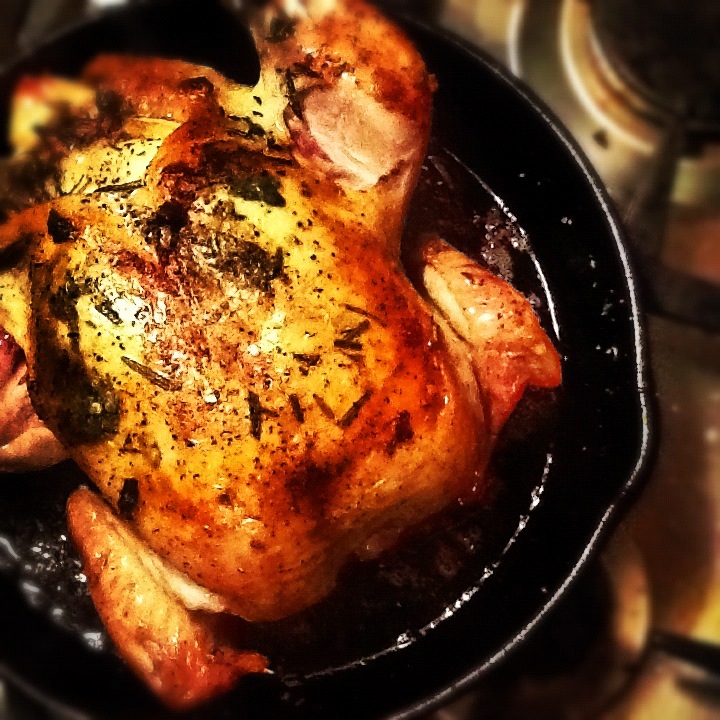 All you need is a big stock pot and if not, you can cut the carcass in half and make the stock in two medium saucepans. Put all ingredients in a large stock pot. Cover with water. On high heat bring to a boil. Cover and reduce to a simmer for 2 hours. Turn off the heat, let cool to room temperature and put in the fridge overnight or until very cold, covered. Skim the fat off the top and return pot to a boil, reduce the heat and let simmer for one hour. Cool down to room temperature. At that point, the stock has a nice amber, yellowish color. Strain in a fine mesh colander. 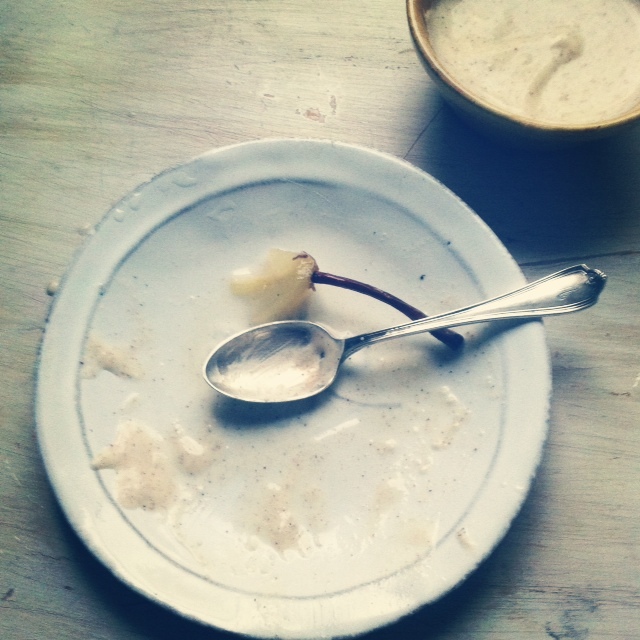 Discard all the solids. You can use the stock right away, store in the fridge for up to a week or divide into containers and freeze until ready to use. Use as you would any store bought stock. NOTE: Once cold, the stock will look like loose gelatin. Don’t worry! that means you have succeeded in making a nice rich stock. I don’t call for salt and pepper as I prefer to season the stock once I use it in a recipe. No time to make the stock? just freeze the carcass until you have the time. 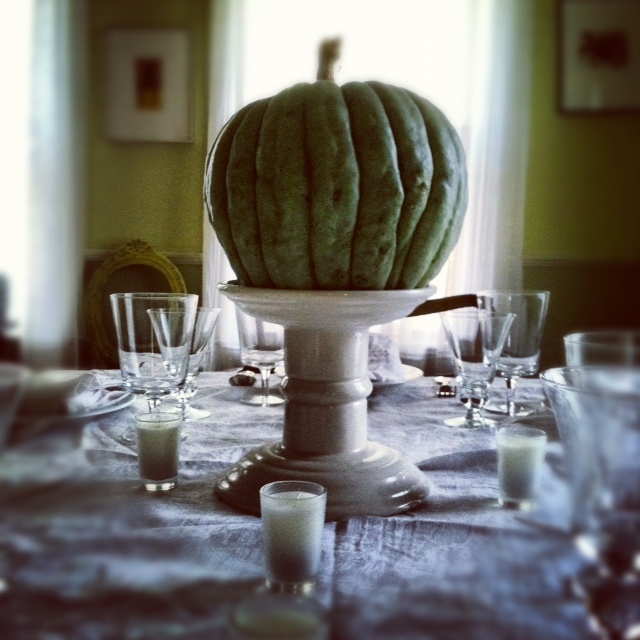 For many, along with having the Thanksgiving meal ready there is the added stress of setting a pretty table. I personally like my table simple and on a small budget. It’s fine in the summer when the flowers are abundant in the garden but in November? No worry, you can still bring the outside in and here are a few ideas. 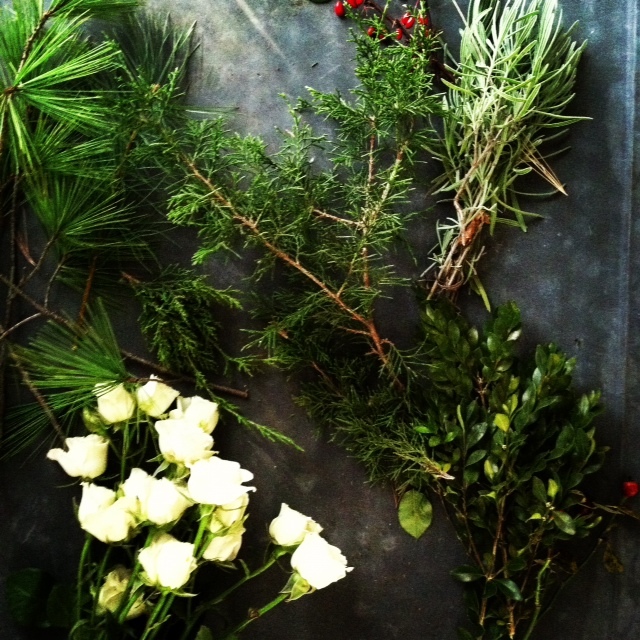 Go take a walk in the backyard or in the woods and cut small branches of evergreen: boxwood, pine, cedar. 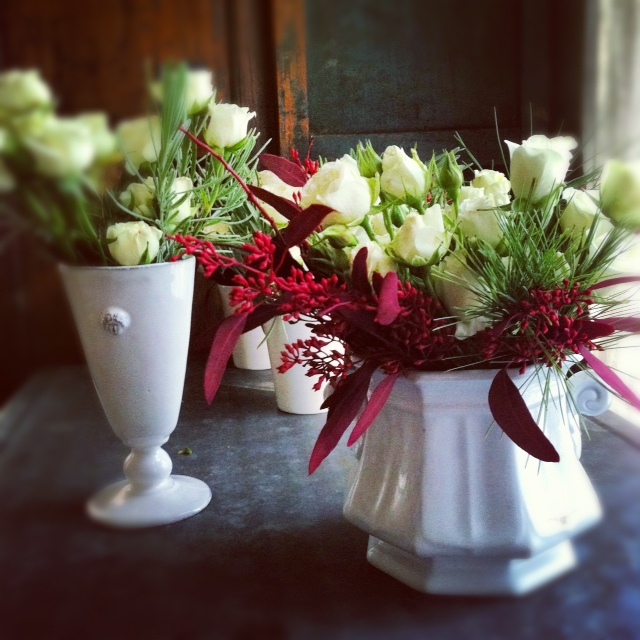 They will make a great base or filler for you centerpieces. Mix those greens with spray roses bought at the supermarket. Those inexpensive flowers are one of my favorite: they come in a variety of colors and with their small cluster of roses you feel you get a lot for your money. Cut them down and arrange them in small glass, ceramic or silver containers. This time of year, grocery stores offer a variety of beautiful fruits . 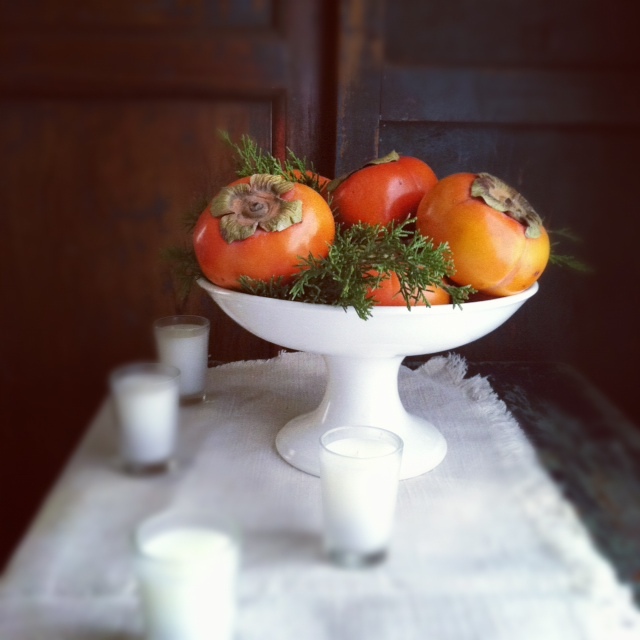 Arranging them on pedestals, bowls or plates and garnished with greens will dress up the table, and provide the added bonus of being able to eat them the next day. 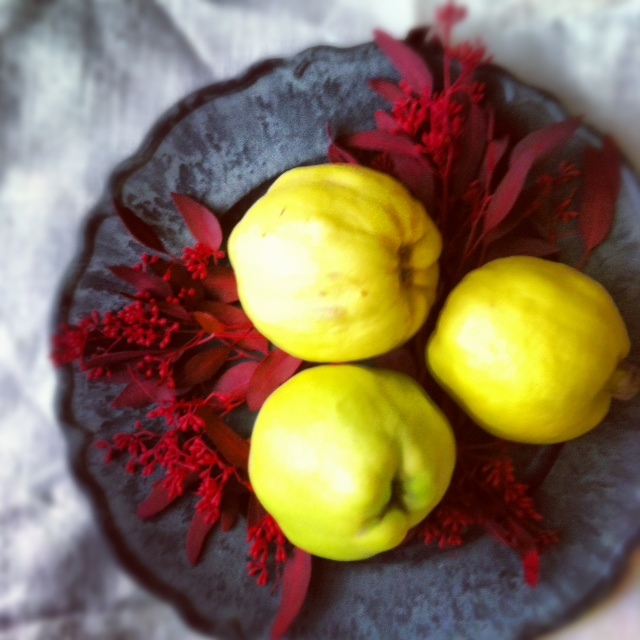 You can play with pomegranates, quince, kumquats, baby pears, apples or pumpkins. 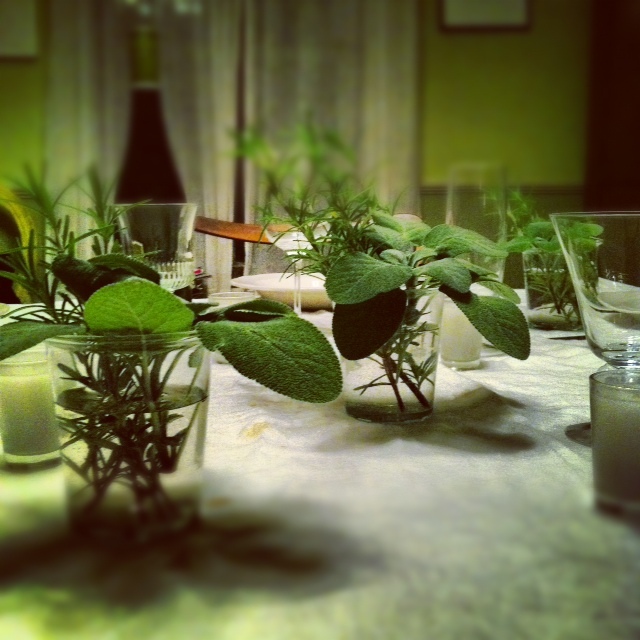 Don’t limit yourself to flowers – arrange a variety of herbs in small glasses or jelly jars. 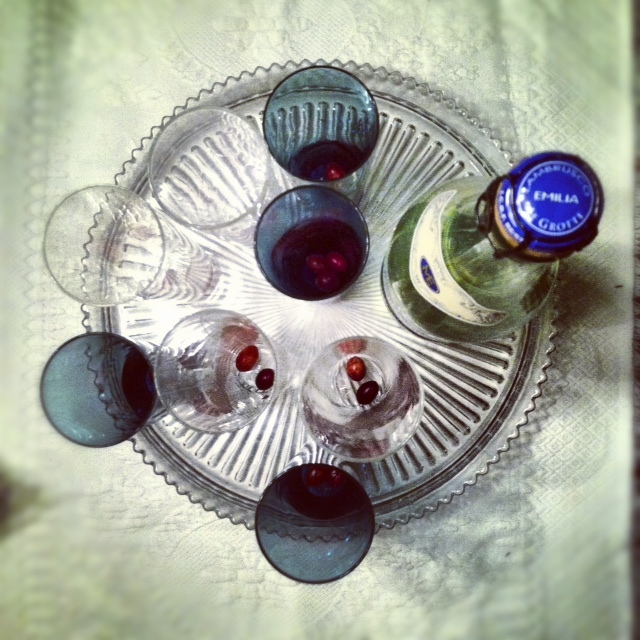 While waiting for your guest, transform your cocktail setup into a centerpiece: champagne glasses and bottle on a pretty tray. 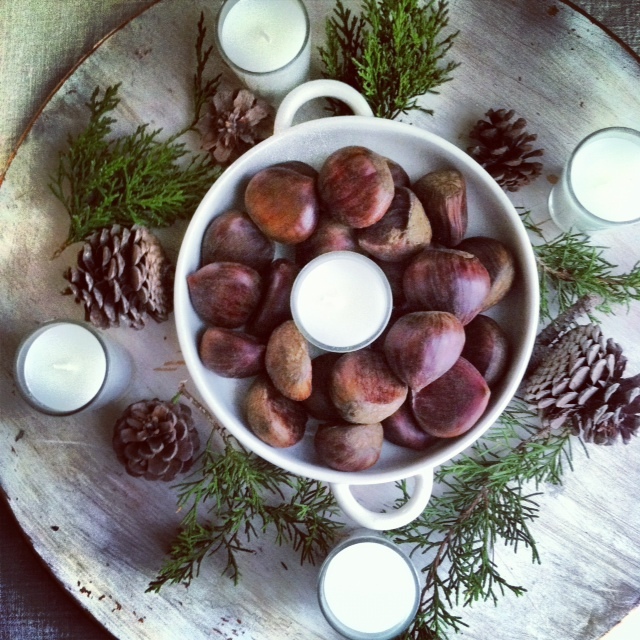 For a festive touch, fill small shallow bowls with cranberries, kumquats or chestnuts; add a small votive candle. Let your imagination run! The combinations are endless! 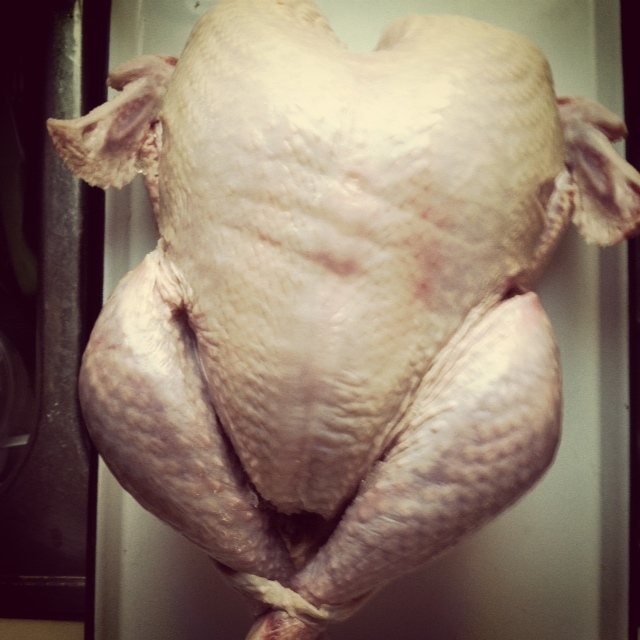 NOTE: Don’t throw that turkey carcass away! 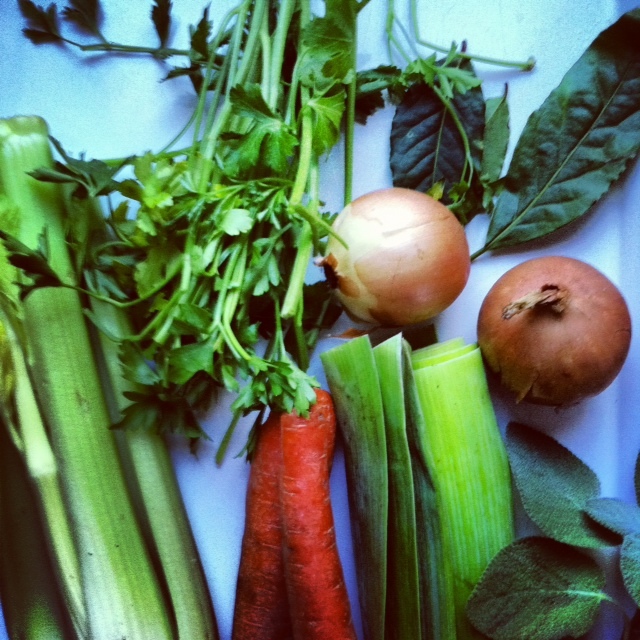 My next post will be about making turkey stock. 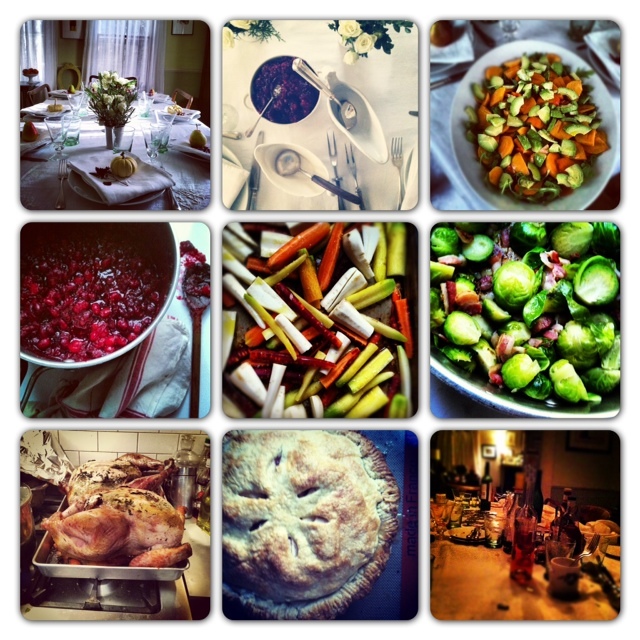 From my kitchen to yours! Happy Thanksgiving! It’s not too late to add this side dish to your Thanksgiving table. I did not grow up celebrating Thanksgiving but this dish from my childhood has all the makings to be part of the feast: creamy, cheesy and easy! This is my mac&cheese comfort food. Great on its own with a tossed salad for lunch or add some leftover cooked ham to the cauliflower and you have dinner. 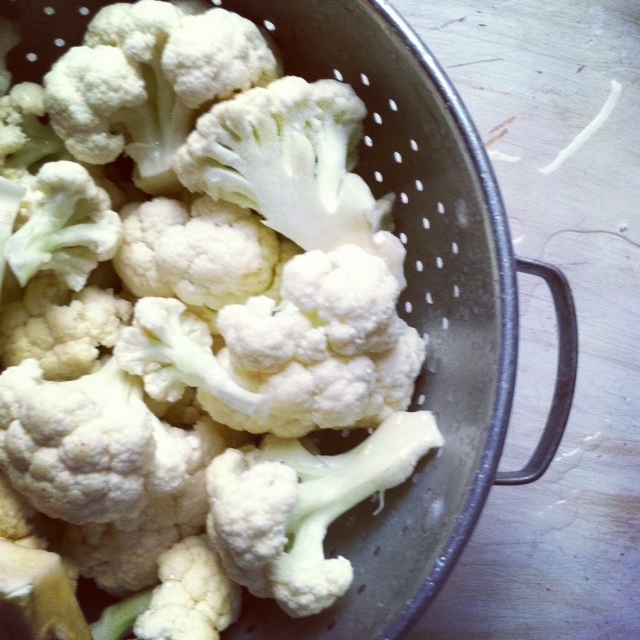 Put florets in a colander, rinse and clean under cold water. Bring a large pot of water to boil. 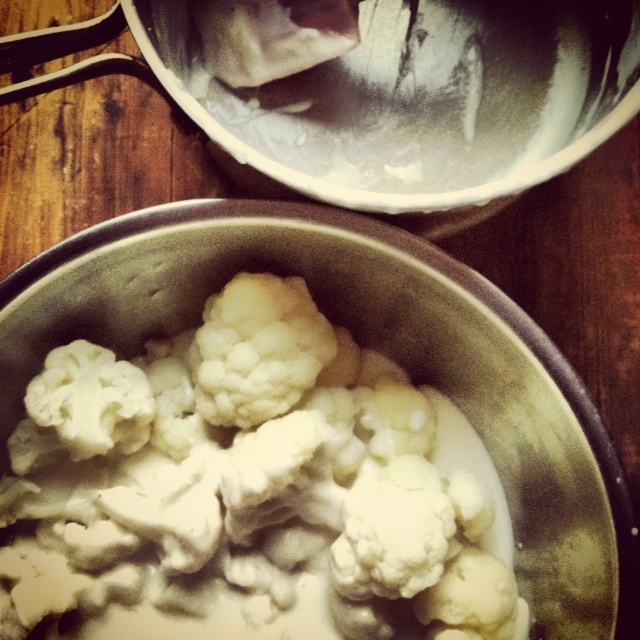 Add a pinch of salt, drop the cauliflower in the boiling water, reduce the heat to medium/high and cook for 8 minutes. Drain the florets, transfer to a large bowl and set aside. In the meantime, melt the butter in a saucepan. Add the flour, stir and cook for 2 minutes. Slowly whisk in the milk and keep whisking until thick about 5 minutes. Add a pinch of nutmeg and salt and pepper to taste. Off heat stir in a half cup of the cheese before slowly mixing it into the bowl with the cauliflower until the florets are covered with the mixture. Butter a gratin or lasagna dish with one tablespoon of butter. 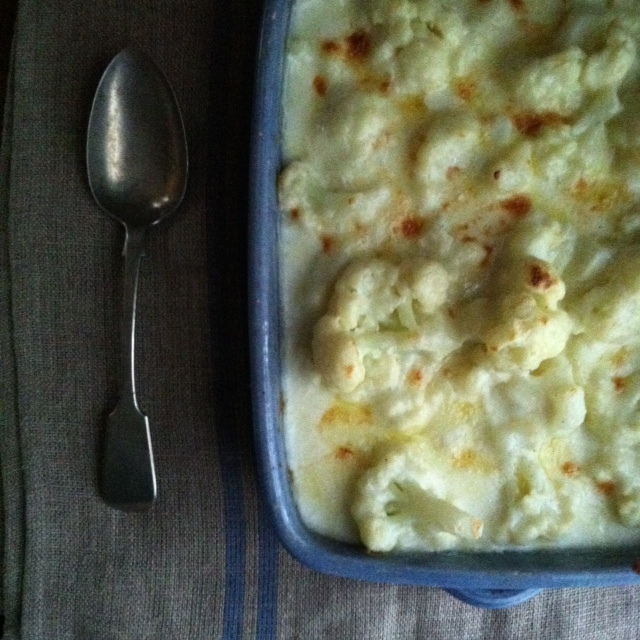 Transfer the cauliflower to the dish and sprinkle with the remaining one cup of cheese. At this point you can cover the dish, refrigerate and bake the next day. Preheat the oven at 350 degrees and bake the gratin for 20 to 30 minutes or until bubbly and the cheese is melted and golden. 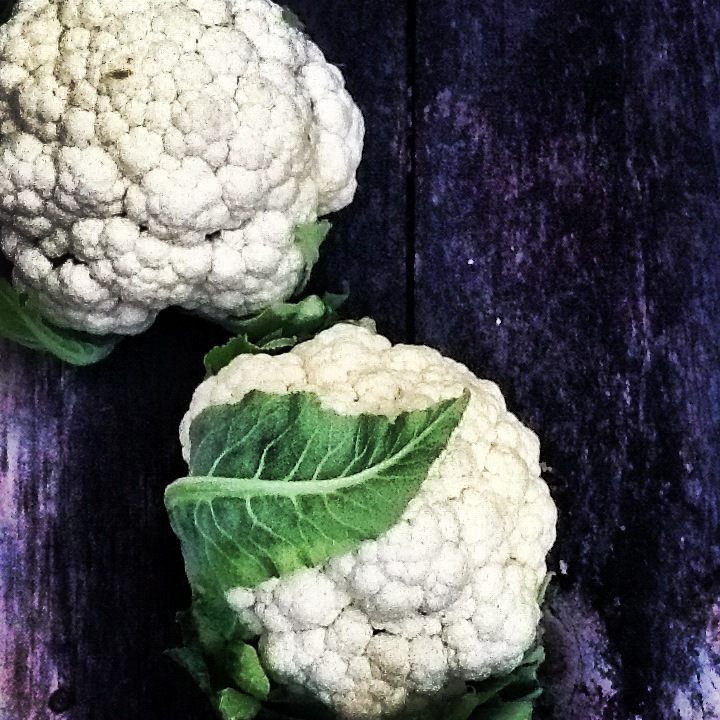 NOTE: You want to make sure you do not overcook the cauliflower or you will end up with mashed cauliflower. Be careful with the salt as some cheese can be salty. Taste the sauce before adding any. 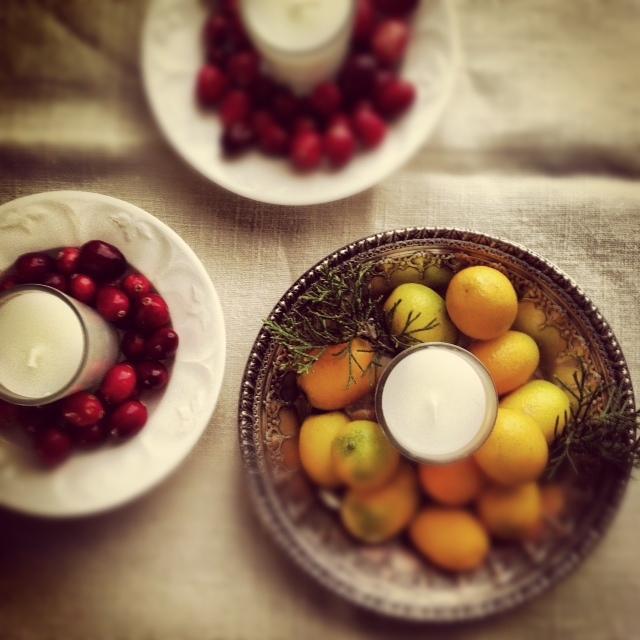 When I am looking for a light and simple dessert I always look to the fruits of the season for inspiration. 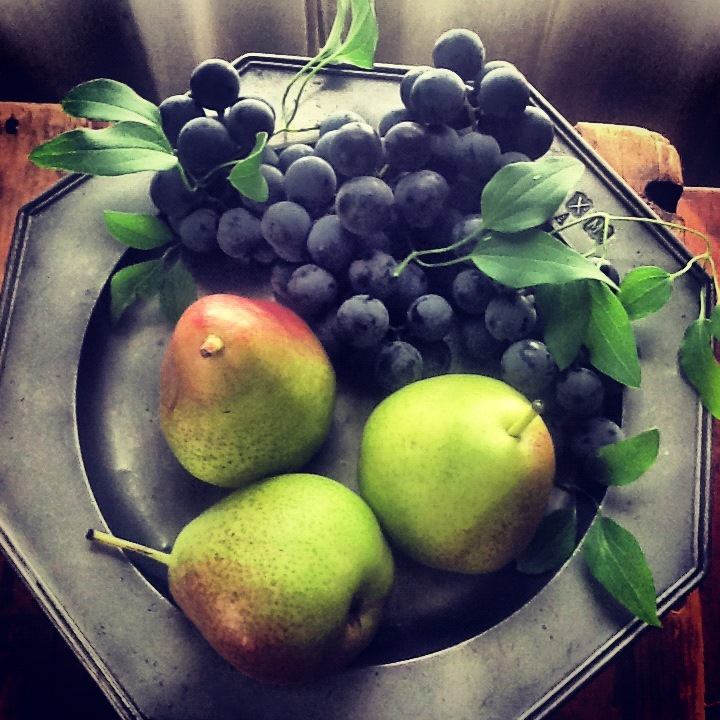 Come November, with those fresh local berries long gone, my mind turns to apples and pears. I get busy in the kitchen with stews, hardy soups, and various comfort foods that are best shared with friends and family. 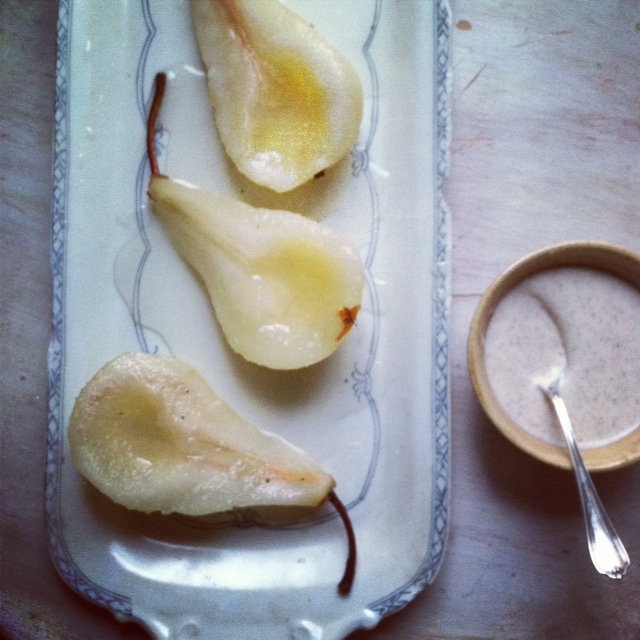 What better way to end a fall or winter meal than with poached pears. They are delicious served with their own poaching liquid and, on special occasions, can be stepped up a notch and served with a mascarpone sauce. 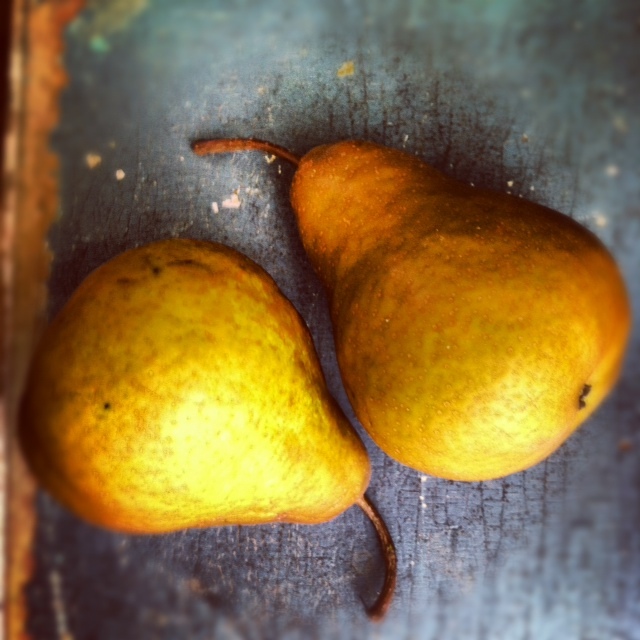 This recipe serves 6 (half pear per person). In a saucepan bring the liquids, sugar and spices to a slow simmer, making sure the sugar dissolves. Add pears and simmer for 20 minutes. 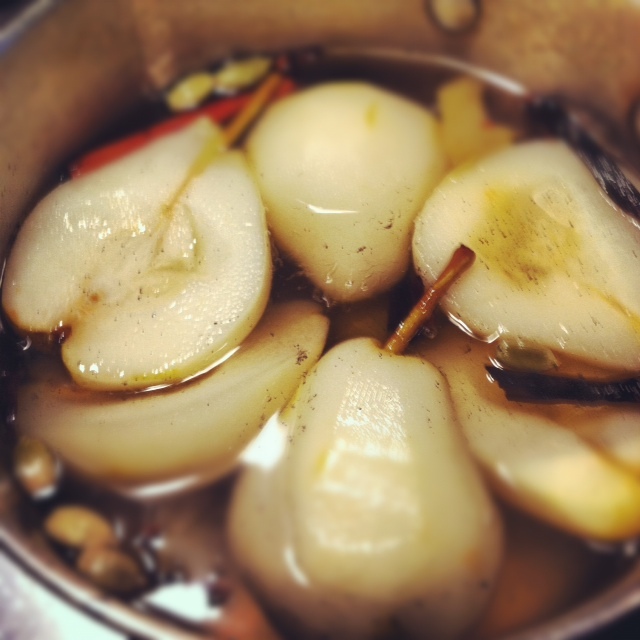 Turn heat off and let the pears stand in the liquid until ready to serve. You can cover the surface with a cheesecloth and secure it with a plate to make sure the pears stay submerged in the poaching liquid. If serving the next day, refrigerate and bring to room temperature before serving. 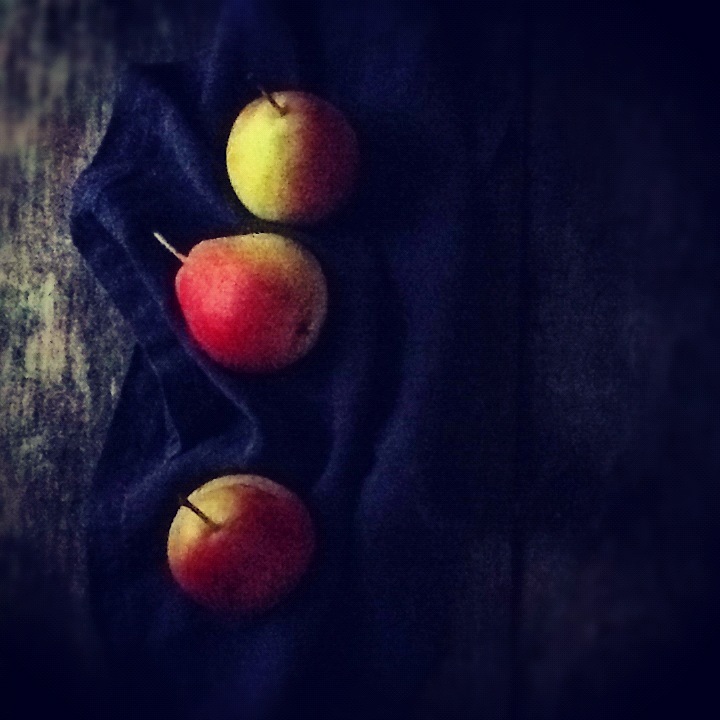 When ready to serve, take pears out of the poaching liquid. Strain the liquid through a fine mesh strainer to collect the spices. Take the vanilla bean and scrape any left over seeds from the pod and transfer to the poaching liquid. 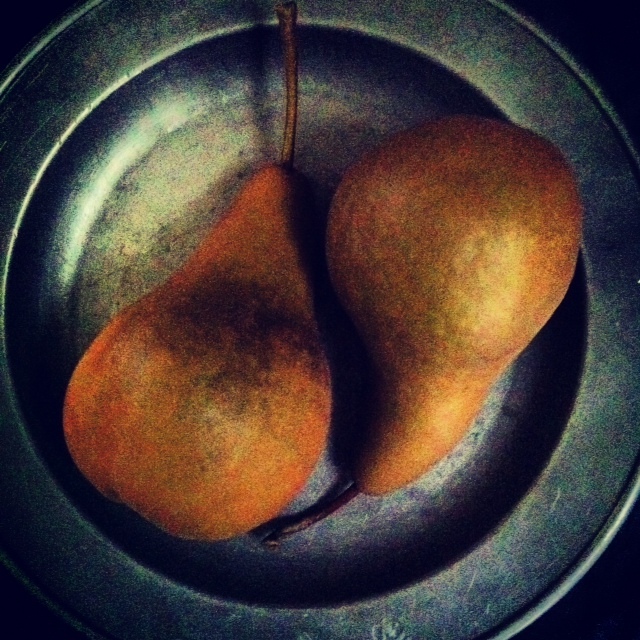 Serve a half pear per person in a shallow bowl with a few tablespoons of the syrup. 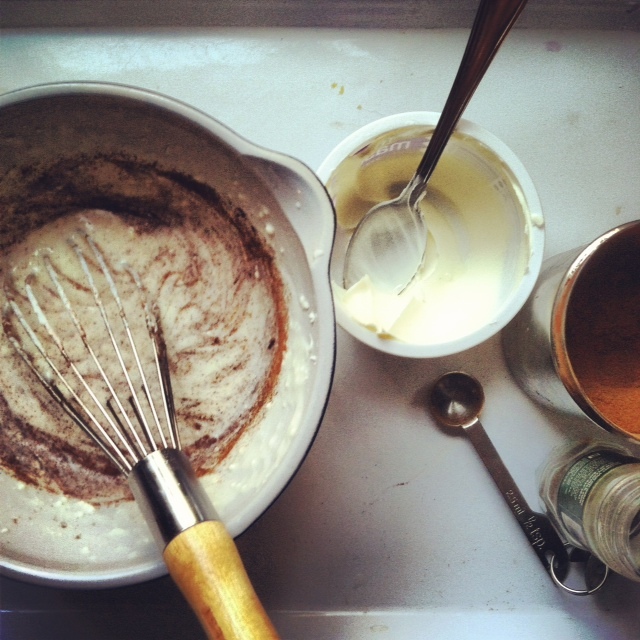 Serve with extra syrup on the table or with the following mascarpone sauce. In a large bowl whisk all the ingredients until blended and smooth. NOTE: You might have poaching liquid and sauce leftover. 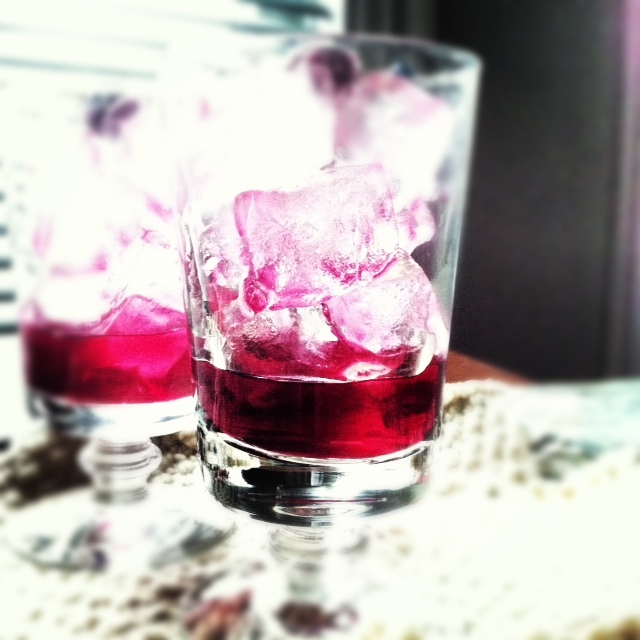 The poaching liquid makes a wonderful simple syrup that you can save in the fridge for up to a month and serve with bubbly water, prosecco or white wine for a nice refreshing cocktail. The sauce can be served with other fruits or mixed in with plain yogurt. While doing your Thanksgiving food shopping in the next few weeks, make sure you grab an extra bag of cranberries. That’s all it takes, plus some wine, sugar and brandy and you’ll have a great liqueur to drink after your meal or as an aperitif mixed with sparkling wine to celebrate the beginning of the holiday season. 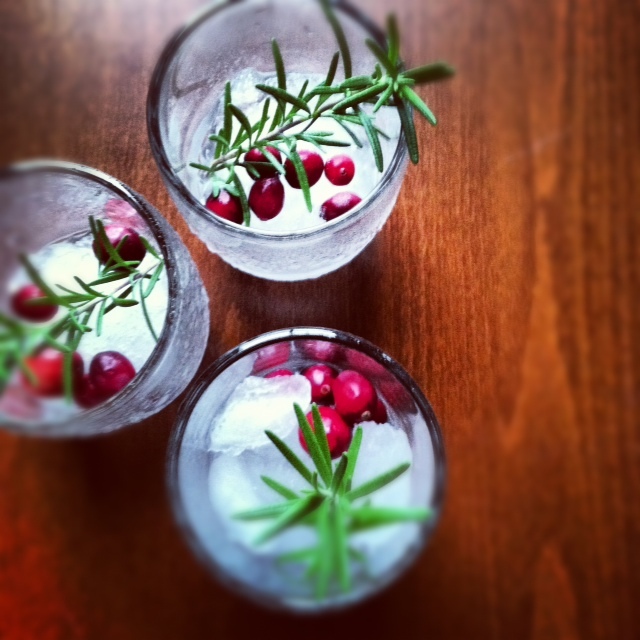 I came by the recipe two years ago while on a styling assignment for Yankee Magazine on a cranberry story written by Amy Traverso. I like to double the recipe, put it in pretty bottles and give as a gift. 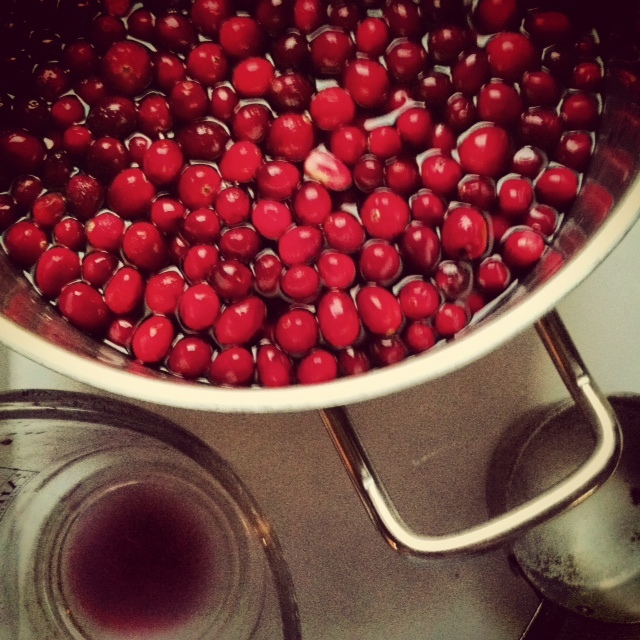 In a large, nonreactive pot, bring wine, sugar and cranberries to a simmer. 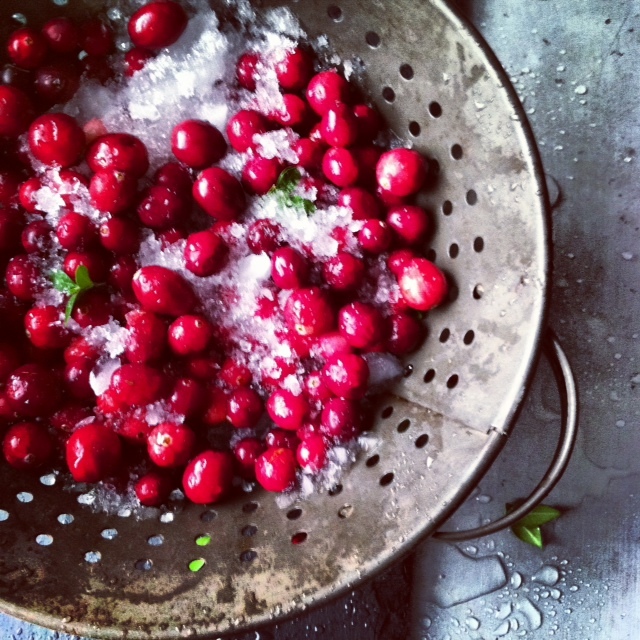 Cook until cranberries pop their skins. Strain mixture through a fine-mesh sieve; then stir in brandy and transfer to glass bottles. This cordial will keep up to 6 months. One of the great thing about my work as a food stylist, besides being around food all day, is that I get to meet people that are as excited and passionate about food as I am: kindred spirits. I get to translate into images the recipes of talented chefs and food writers and in the process expand my knowledge of food, cooking, and new recipes. Two summers ago I had the opportunity to style Mary Ann Esposito’s cookbook “Ciao Italia, Family Classics” . 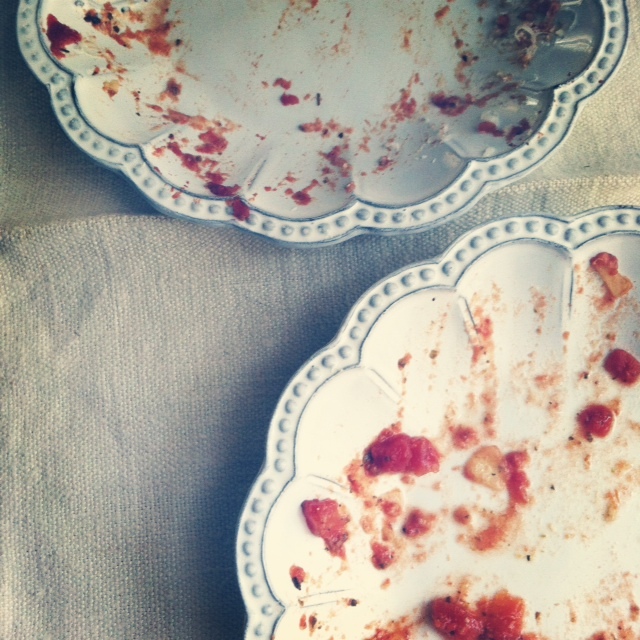 We were on an Italian diet for about two weeks; it was delicious! 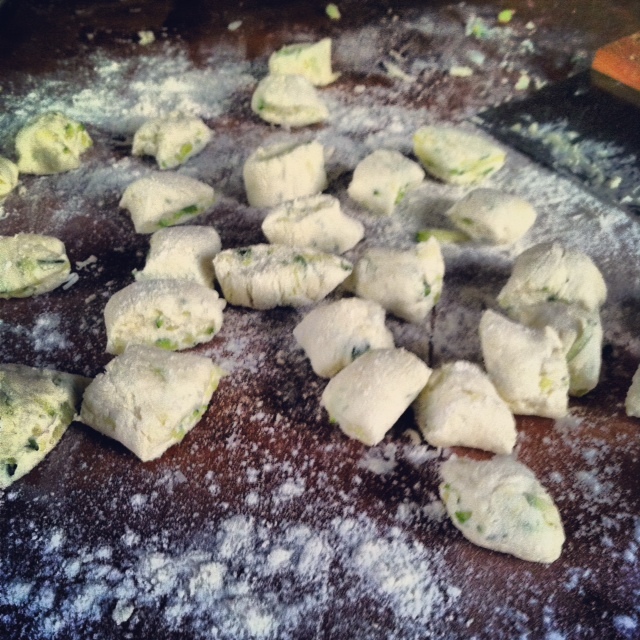 I always come out of a project adding a recipe to my collection – on this one it was the ricotta zucchini gnocchi. Mary Ann introduces the recipe by saying that “if ever there was a homemade pasta that put the fear of God in cooks, it has to be gnocchi”… fear of God in stylists too! They can so easily turn out wrong: chewy, tasting heavy, or worse – disintegrate once dropped in water. Following the recipe carefully turned out to be a success. I have been making them for two years now and never tire of them. The recipe is so simple I even make them while on vacation. Thank you Mary Ann! Heap the flour on a work surface, add the salt and cheese and blend well with your hands. Make a hole in center of the flour mixture and plop the ricotta cheese in it. Flatten the cheese a bit with a spoon to make a slight depression in the center of the cheese and add the egg and zucchini. It will look like a mess. Roll up your sleeves and use your hands to blend everything into a ball of dough. It will be a bit sticky , but only add more flour if the dough is so soft it will not roll into a slightly tacky ball. Otherwise leave it alone and allow it to sit covered for 5 minutes while you wash the excess flour dough bits off your hands. You will find that after the dough rests, it will be easier to handle. Use a dough scraper to help you move and turn the dough to knead it. It does not have to be smooth, but just holding together. 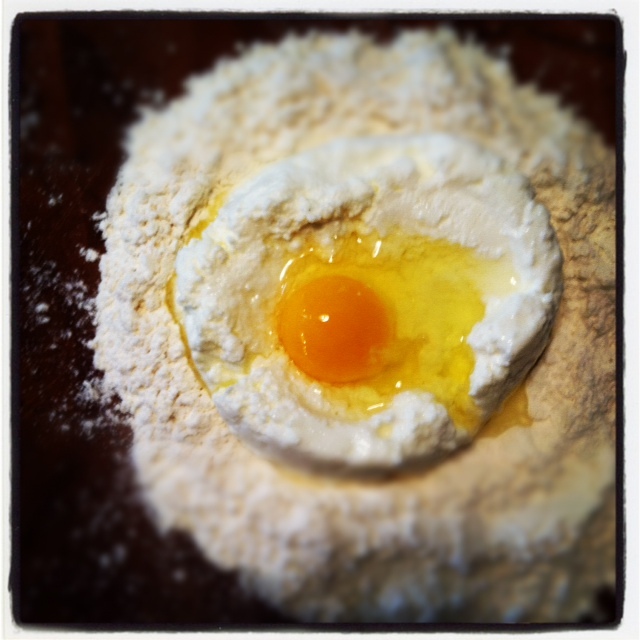 To test if you have enough flour in the dough for the gnocchi to hold together in cooking, drop one or two in a small pan of boiling water. If they rise to the top and hold together and do not disintegrate, Congratulations! you are good to go! 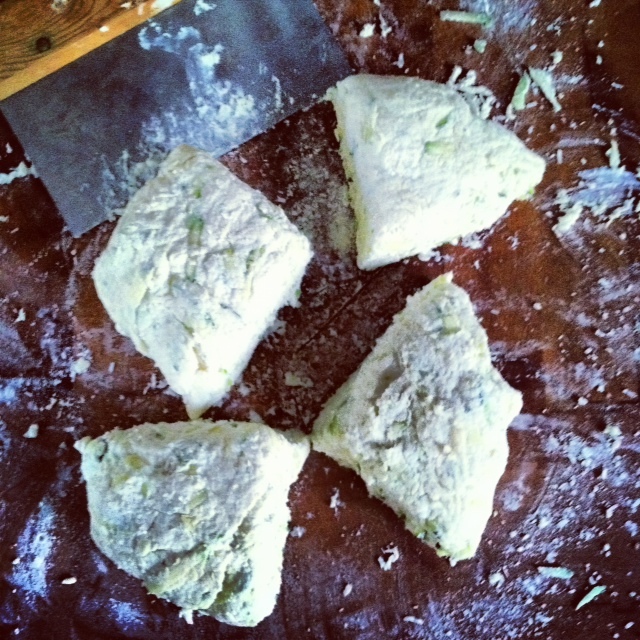 If they fall apart, you need to add more flour. Divide the ball into quarters and roll each quarter out on a lightly floured surface into and 18 inch long rope the thickness of your middle finger. With a small knife cut one inch pieces from each rope. 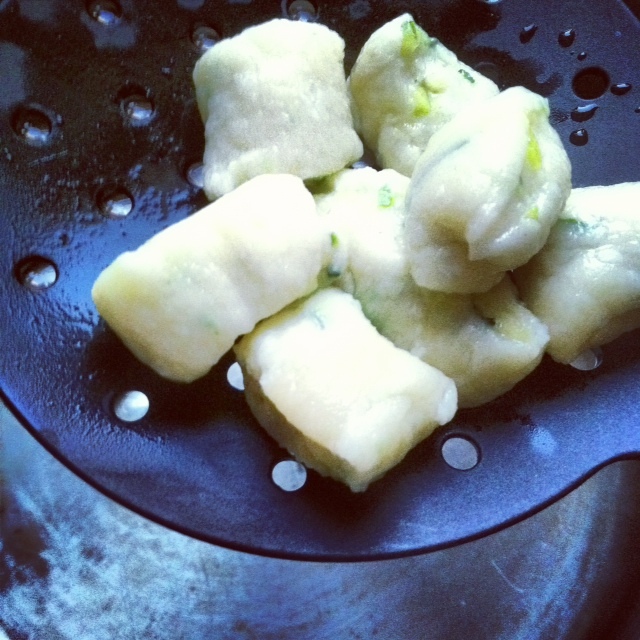 Place the gnocchi on a towel lined baking sheet in single layers as your form them. When ready to cook and sauce, decide how many are being served. Gnocchi are a first course so four dozen will serve 8. Bring 2 quarts of water to a boil and add one tablespoon of salt; drop the gnocchi by hand a few at a time into the pot and cook them just until they bob to the surface. Use a sieve or a pasta scoop with a handle to fish them out of the water. Be sure to shake off the excess water and transfer them to a skillet with the waiting tomato sauce. Heat the gnocchi in the sauce and toss them gently to coat well. Serve them as a first course with cheese on the side to sprinkle on top. You can also serve them with pesto or butter and cheese. 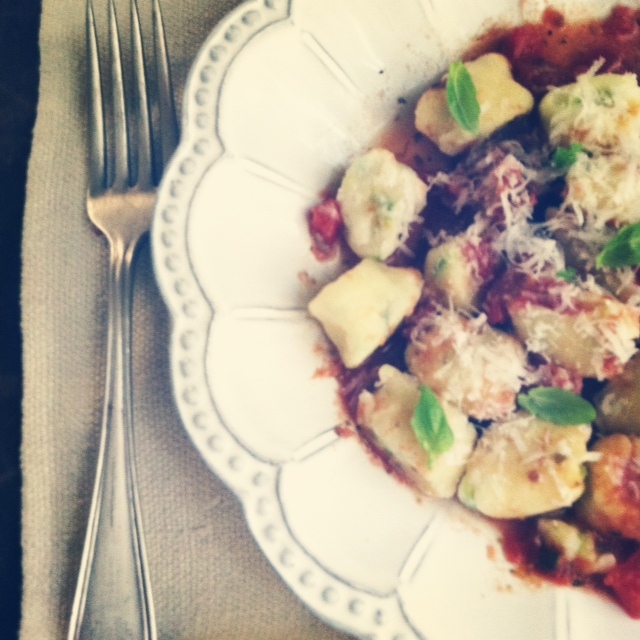 MARY ANN’S NOTE: Want to make gnocchi ahead? Cooked gnocchi freeze beautifully. Flash-freeze cooked gnocchi on baking sheets in a single layer. When frozen, transfer in plastic ziplock bags. They will keep for 3 months. When ready to cook, take out as many as you wish and allow them to defrost then reheat them in the sauce of your choice. 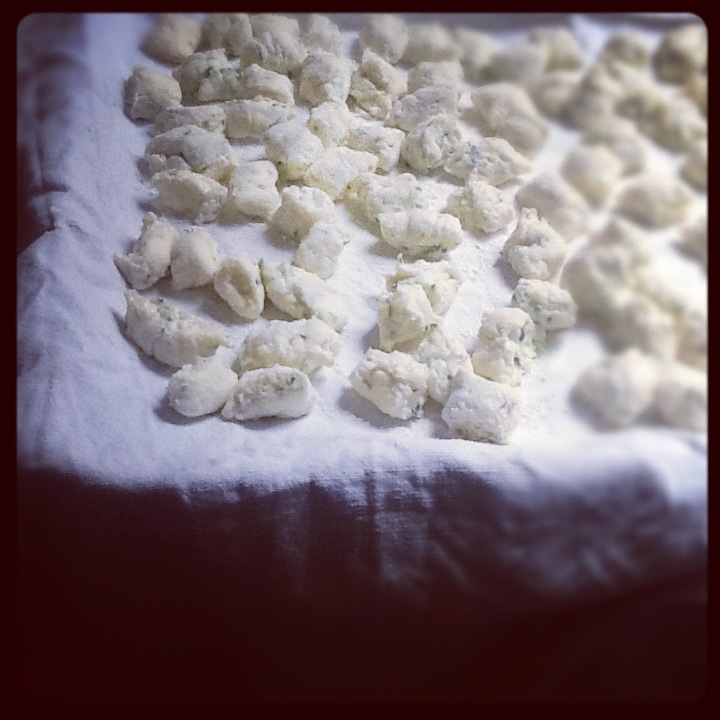 MY NOTE: For a really tasty and fluffy gnocchi use handcraft ricotta. My favorite is Maplebrook made in Bennington Vermont and available at Whole Foods Supermarket.